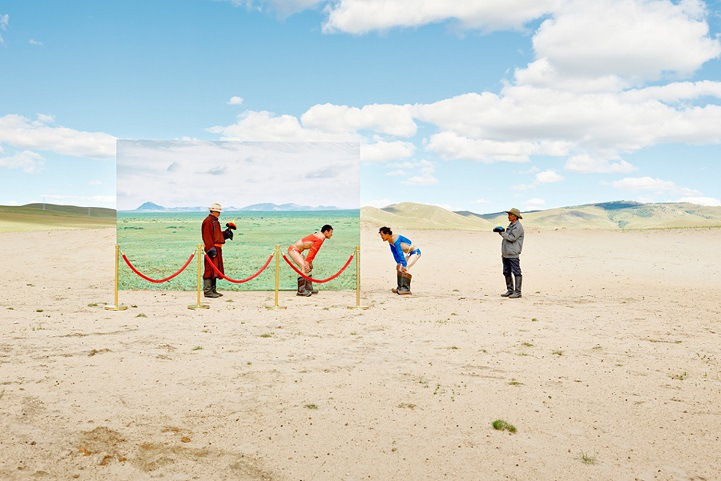 If you haven’t seen this series by photographer Daesung Lee about the effects of climate change on Mongolia, then you’re welcome because you’re going to see it now. 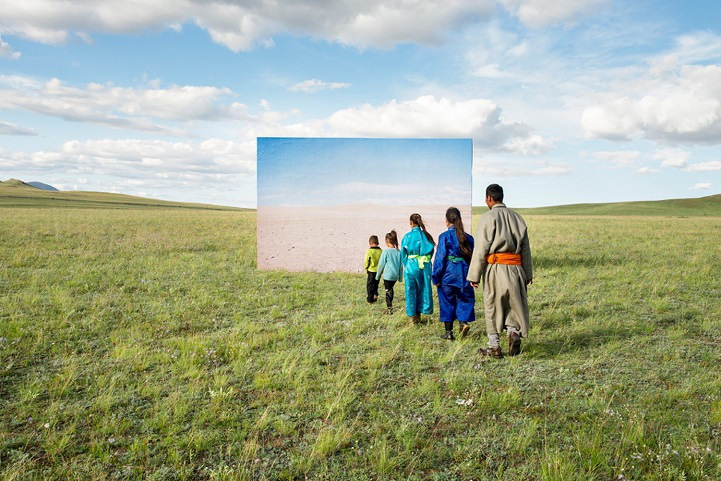 By placing past images of the countryside alongside the current landscape, he forces the audience to acknowledge the fearsome consequences of climate change. According to the article accompanying the pictures, a survey by the Mongolian government found that “about 850 lakes and 2000 streams and rivers have dried out in the past 30 years, with 25% of the country’s land having turned to desert. As much as 75% of Mongolia is at risk of desertification.” Those numbers are huge and cannot be ignored. I remember driving through the countryside with my family, hearing their musings about how this entire stretch of land once used to be a lake. Or walking around and finding a deposit of river rocks. The effects are real. 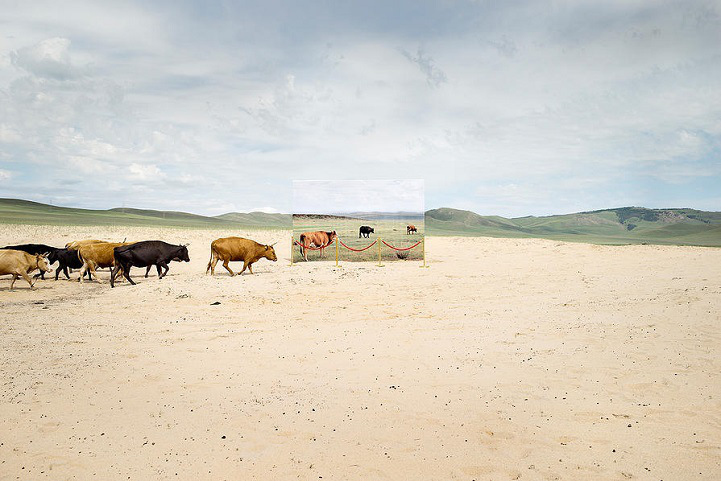 Livestock is very important for Mongolia. For one thing, the traditional diet is meat-heavy, if not meat-based. If there is a significant decrease in grazable land, then that means food shortages. Moreover, with Mongolia’s plan to start exporting meat (a great idea), then the effects on the economy alone would be dire. Mongolian culture is infused with the nature in which our history grew out of of. The steppes, mountains, rivers, plains, and the sky are integral to our origin and to our continuing story. Imagine the magnitude of loss if those were not to be. This is one of the most poignant of his sets. The father has to watch as his children walk into a barren landscape with little economic opportunity and little chance of prospering or living as he did. 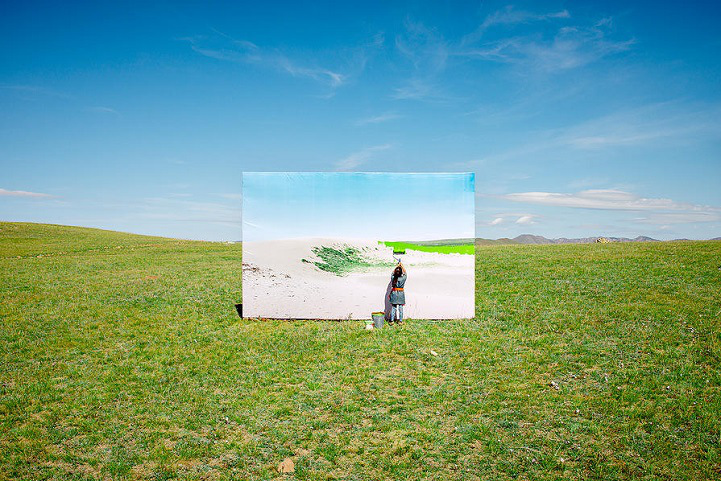 What will the future of Mongolia look like if desertification continues at a higher rate, leaving us without the sustenance that it once provided? One of the last of his sets, Lee seems to end on a happier note. This installation is showing us that there is time for change, to turn it around and to build a better future than the one above. The child shown is painting the background green, symbolizing that the younger generations have a choice to make. They can bring out legislation and action that can combat the ghost of Christmas future. Previous postWhat’s up with China’s New Normal?